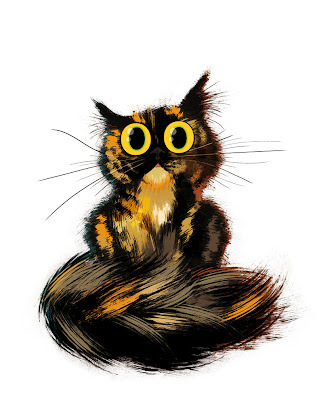 Our littlest cat turned one year old the other day, so I captured her youthful glory in portrait form. MY TUMBLR - THE HOME OF MORE SKETCHY RANDOM DOODLES!! !